On the front porch or in the living room, there is nothing sweeter than sitting side by side with a child in a rocking chair that fits just right. 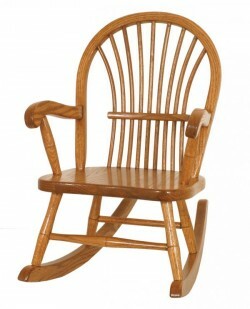 The perfect place for looking at books, loving on a beloved pet at your feet or just watching the comings and goings in the neighborhood, a child sized rocking chair is the perfect companion to its adult counterpart. 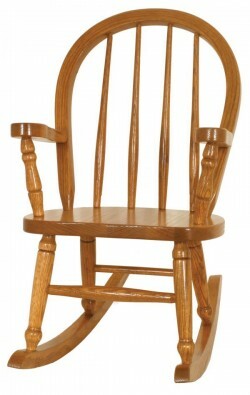 At Amish Originals, we offer a full line of these pint sized chairs, which even as your children grow, will remain cherished heirlooms of childhood past. 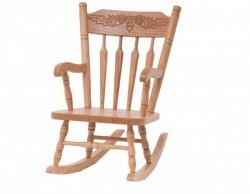 All the rocking chairs at Amish Originals can be customized and designed to meet your décor needs. Because each chair is made-to-order, customers have the option to select the stain color, wood species, size, and style when ordering. Made here locally in northeast Ohio by Amish craftsmen, all of the wood used in our furniture has been harvested responsibly and is crafted from solid American hardwoods like Red Oak, Maple, Cherry or Quarter Sawn White Oak. 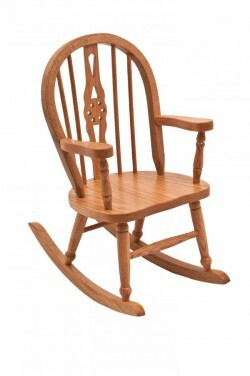 The children’s rocking chairs from Amish Originals are built with both beauty and durability in mind—to see these quality products, drop by our showroom in Westerville’s historic Uptown shopping district or call for a quote to learn more.